The career of Ricardo “El Matador” Mayorga seems to have no end. At 45-years-old, the two division world champion will return to the ring to face debutant Lester Martinez in Guatemala, a fighter who shined in amateur boxing and won medals at the 2018 Central American and Caribbean Games held in Barranquilla, Colombia. Martinez will make his formal debut against the Nicaraguan on April 6. 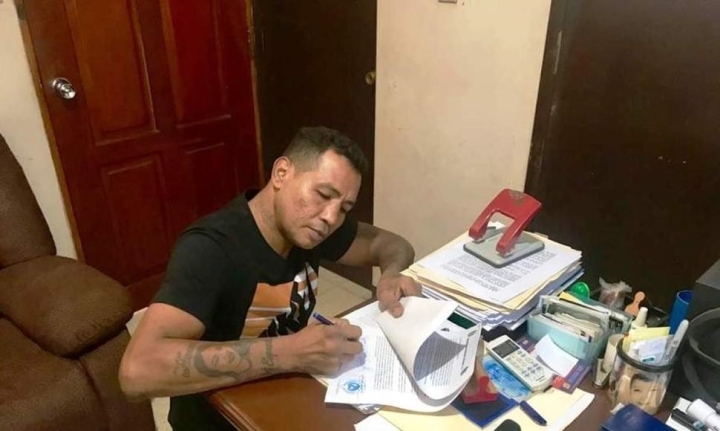 Tv Azteca of Guatemala announced the news in the evening of Monday, which was confirmed by the Nicaraguan promoter, Marcelo Sánchez, director of Pinolero Boxing, a company that together with Latin Arms Promotions, will mount the event featuring Mayorga on Guatemalan soil. According to Sanchez, the match was agreed upon for 170 pounds and what convinced him the most in offering the opportunity to the “Matador” was to see him in good physical condition. Mayorga with a record of 32 wins, 11 losses and a draw, will return to the ring after suffering two consecutive defeats abroad. On November 3, 2017, he succumbed to Andrey Sirotkin in Russia and subsequently lost to Rodolfo Gómez Jr., in Texas, on April 7, 2018. Since then he has not been in a ring, which was understood to be an unannounced retirement. Despite his age, he is still a show man, perhaps on a smaller scale, but in a country like Guatemala, where boxing is not the king sport, his appearance will generate a great interest, not only for being a controversial ex-champion, but because he will face a fighter who has high expectations in his country. Mayorga touched the sky in professional boxing in 2002 when he knocked out Andrew Lewis, claiming the 147-pound title of the World Boxing Association (WBA). The following year, in 2003, he unified his crown with the Vernon Forrest, with a knockout win for the WBC title. On August 13, 2005 he defeated Michele Piccirillo for the vacant crown 154 pounds of the WBC. On May 6, 2006 he lost the crown against Oscar de la Hoya by way of knockout.